The Petra organisation have again shown their worth by launching an inaugural under-18 schools football competition that would benefit schools in Georgetown, Linden, the West and East Coasts of Demerara, East Bank Demerara and Berbice. 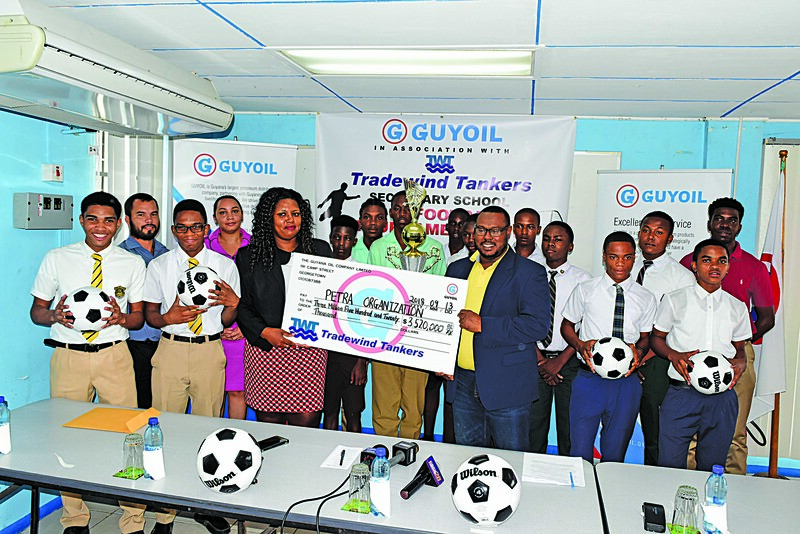 The Guyoil/Tradewind Tankers Invitational tournament is being sponsored by the namesakes of the competition, and will run from October 6 to December 9, with each of twelve participating schools playing eleven preliminary games before heading into the knockout rounds. Speaking at the launching ceremony on Thursday, Co-Director of Petra, Troy Mendonca, gave a synopsis of the vision of yet another school tournament. “This tournament is in keeping with Petra’s vision of assisting with the development of the sport through the school system. 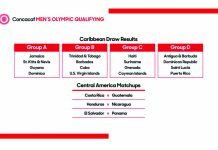 Our focus in this tournament is to bring together the twelve best teams in the country (to compete) in a league format,” Mendonca explained. 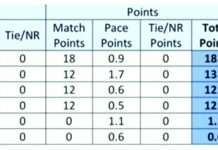 Mendonca revealed that, in the coming years, he is looking to better the structure of the competition with a more organised qualification process, wherein the best teams from each region would be competing. 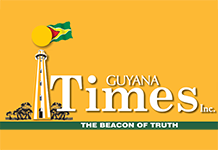 Jacqueline James, representing the Tradewind Tankers, disclosed that the company, based in Spain, works in collaboration with Guyoil to ship commodities to Guyana. She said the company has been doing a great job at discharging its corporate social responsibility. “We at Guyoil see our corporate social responsibility as a very important aspect of our business and giving back. So we are pleased today not only to be giving back, but to be associated with youths; because, as a company, we see sports playing a holistic part in (youths’) education,” she stated. 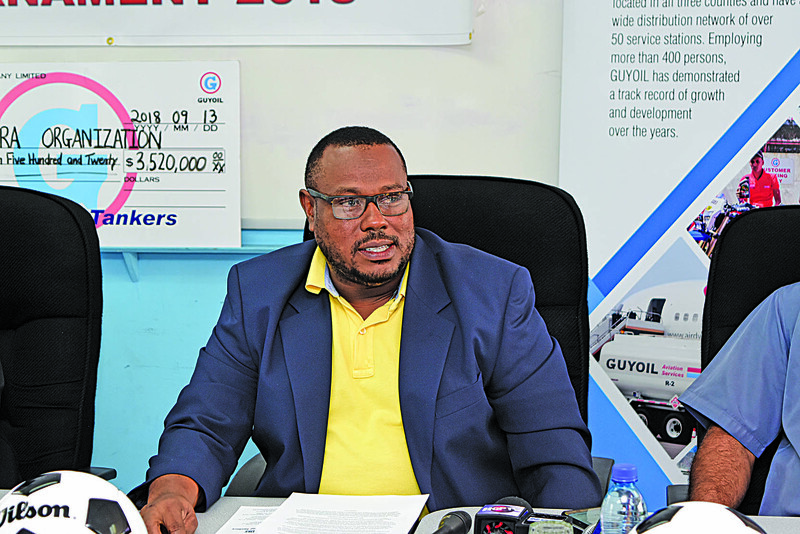 Guyoil Marketing Executive Ashmin John went as far to note that the national oil company is committed to seeing the schools projects completed and winners receiving the cash prizes they had won. “Guyoil would like to go further and say whatever project the winning team chooses, we will be there to support you. If you want to paint a new room in your school, we will be there to help you. We want to be that involved in your projects,” John revealed. For some of the participants in the 54-match competition, playing will not stop at the final match. As disclosed by the Petra organisation, the winner and runner-up of the competition would each have a chance to test their skill at a higher level. The Petra organisation, earlier this month, launched the KFC Football tournament, consisting of four school teams. It is slated to kick off in December. 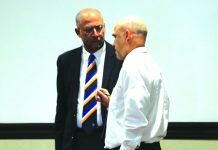 Mendonca has divulged that the Shiva Boys Hindu College in Trinidad and Tobago and the Annai Secondary School would both be competing in the tournament, and he has promised that the last two local teams competing in the tournament would be revealed in a timely manner. “So the two best teams from this tournament will join those two other teams for three days of football in December,” Mendonca explained on Thursday. Stating that inclusion of the two local teams is a great idea, Ministry of Education representative Nicholas Fraser noted that it would do well to improve the level of competition displayed. “Since last year, we were touting the idea of having foreign teams come into the country to play; so it’s very good motivation for you, the students, who will be vying to see if you can come within the top two schools, to see if you can qualify for that tournament,” Fraser said. Aside from all the pomp and splendour associated with the launching ceremony, the Petra organisation revealed a critical fact about the competition that may receive mixed responses in the near future. “Unfortunately, at this point in time, I would like to mention that we will not be inviting institutions such as Sir Leon, Chase, Morgan, Buxton Masters, since we think that their practices do not align with our philosophy,” Mendonca has announced. Mendonca was careful to note that the stipulations are all in good faith. “However, we would like to go on record in recognition of their (mentioned schools) efforts that contribute to the growth of the game,” he said. The announcement caused smiles to light up the faces of both teachers and players from the public schools present, many of whom had expressed that the inclusion of the ‘lessons’ institutions gives those institutions an unfair chance at winning the tournaments. “I’d like to congratulate the Petra organisation for making this decision, because the Government schools have been suffering at the hands of the private schools, who take the students from you and play you the same year. So I’d like to congratulate you for making that bold move,” Lodge Secondary School teacher Leon Bishop expressed. The twelve teams in the tournament are: Annandale Secondary, Friendship Secondary, Vergenoegen Secondary, Uitvlugt Secondary, Berbice High School, Wismar/Christianburg Secondary, The Bishops’ High School, Lodge Secondary, St. Rose’s High School, Dolphin Secondary, Queenstown Secondary and Queen’s College. The tournament will kick off on Saturday, October 6, and will be played on Saturdays and Sundays at the Ministry of Education Ground on Carifesta Avenue.